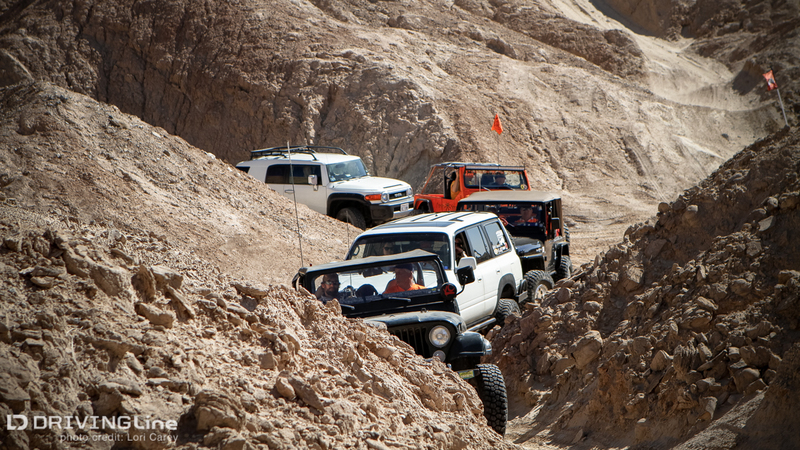 The 53rd Tierra del Sol Desert Safari took place the first weekend of March, and the turnout was better than ever this year! 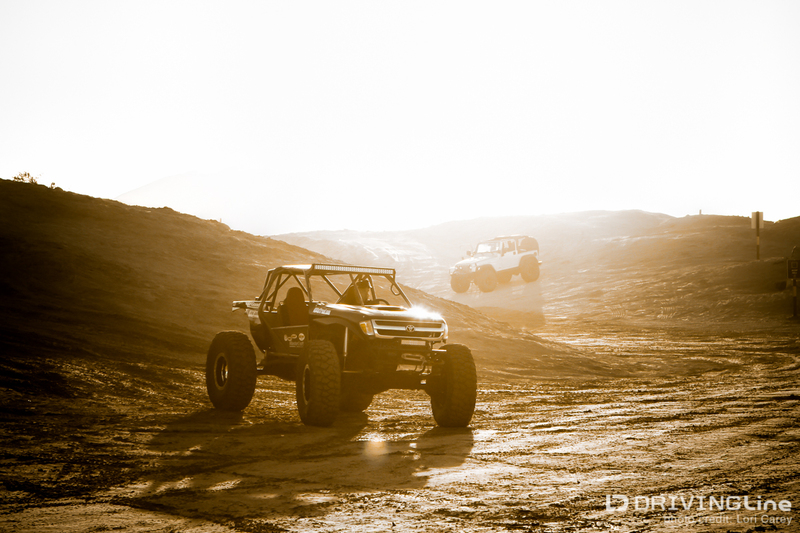 The largest 4x4 event on the West Coast brings tens of thousands of off road enthusiasts and 100+ vendors to the Truckhaven Hills area of Ocotillo Wells SVRA in the Southern California desert to help raise funds that go toward fighting land closures and helping to keep trails open. I’m sure the weather played a big role in helping attendance this year. Last year there was a storm brewing, we had high winds and brutal dust storms and many of the vendors left early. 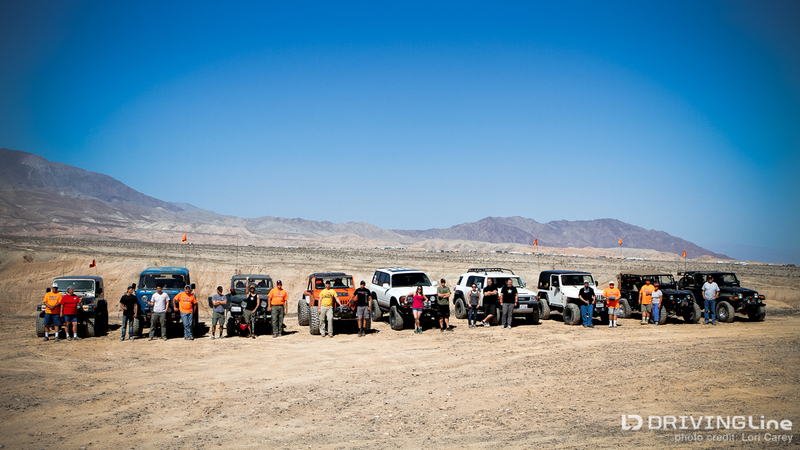 This year the event took place under beautiful blue skies with no wind, but it was hot! In order to make things faster and easier for participants, the safety check was waived this year. The safety requirements were still in place, but everyone was on their honor to ensure that their rig met the minimum specifications. 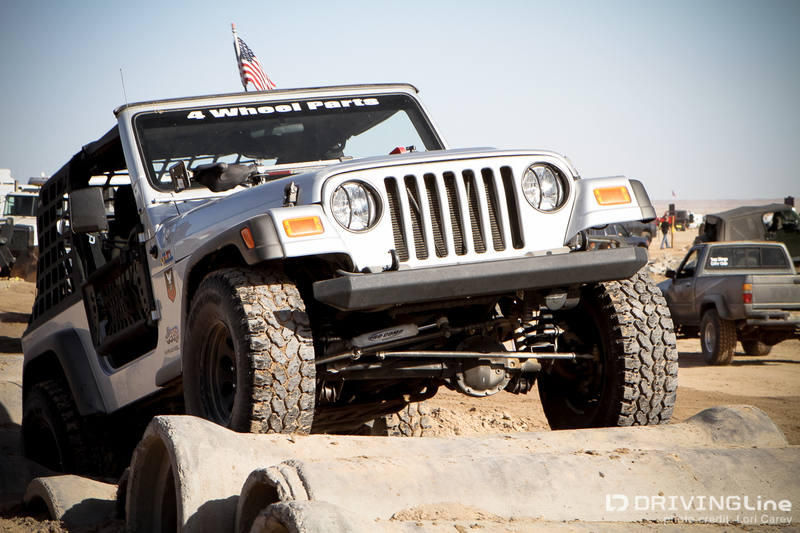 There are organized runs throughout the event with the main run on Saturday morning, but many clubs and groups host their own smaller runs because the official Desert Safari run has hundreds of rigs and it can take most of the day to get through the trail. 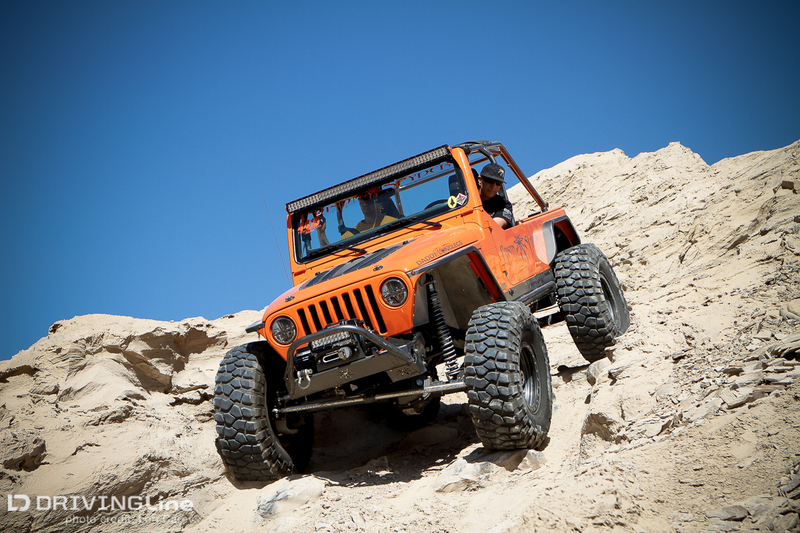 This year I opted to join the Hemet Jeep Club and Larry McRae of Poison Spyder on their run. 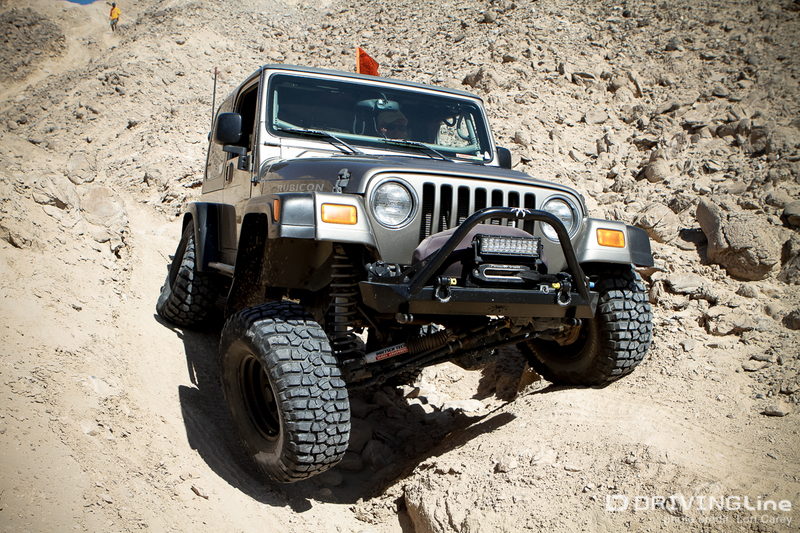 Our trail boss wheeled this very cool Jeep Forward Control. 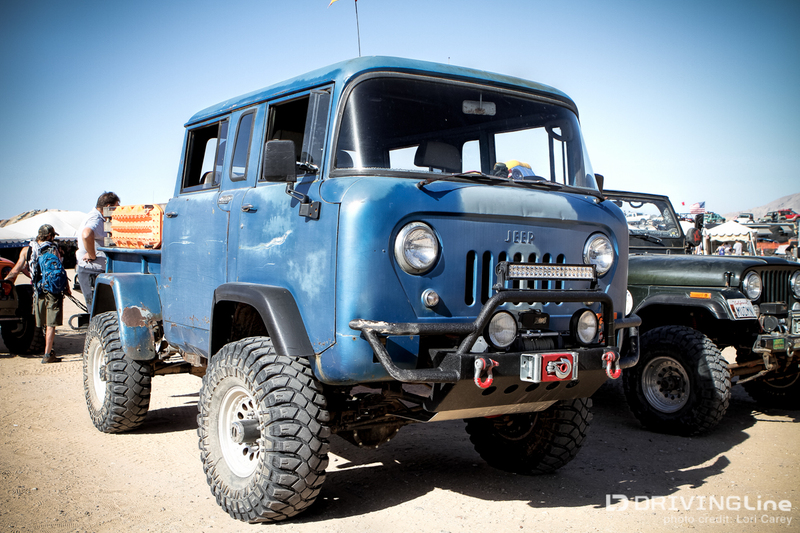 It is a beast that can get through anything and it was a lot of fun to be with it out on the trail after admiring it at last year’s Desert Safari. 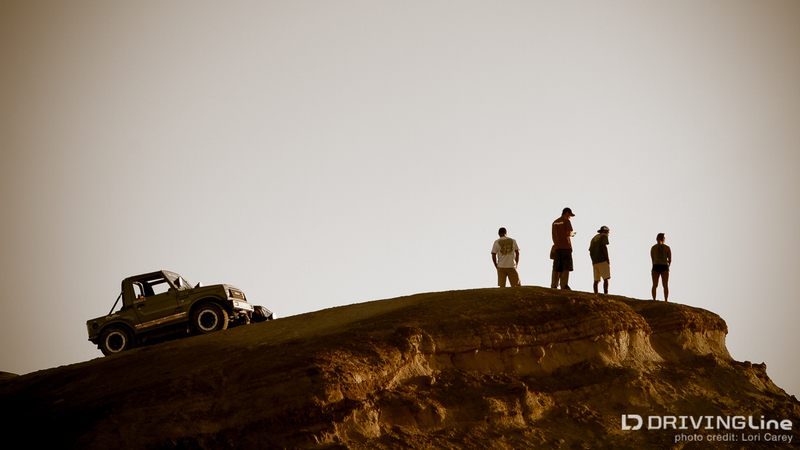 Our trail boss led us through the steep and narrow trails of the mud hills. 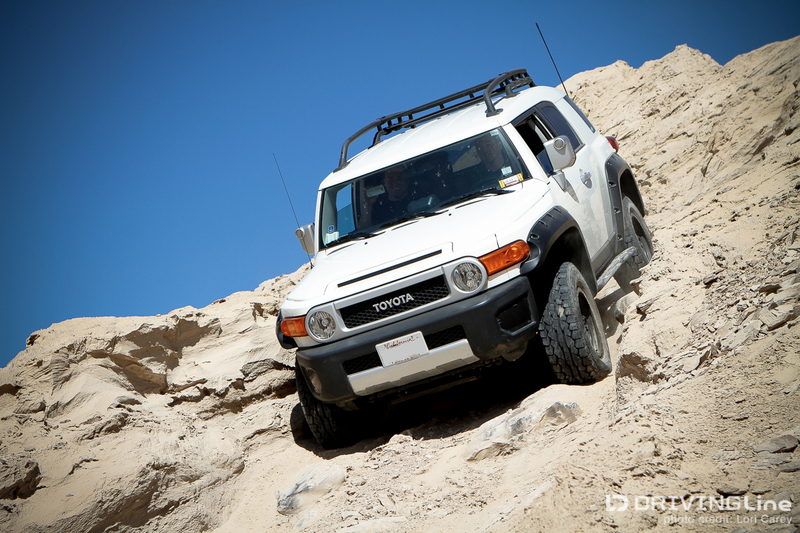 The terrain is soft and crumbly, very different from rock crawling. After winding our way through the narrow slots up and down steep hills while avoiding the main trail run, we head over to Chuck Norris’ Playground, and then to Broken Spade. 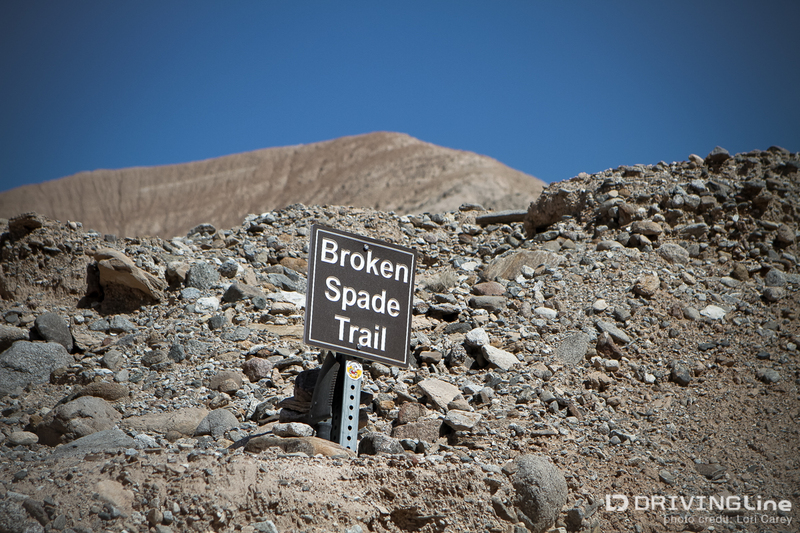 Broken Spade was broken by the Hemet Jeep Club, and I love to wheel a trail with the club who broke it and hear the stories about creating the trail. You can still see the spade marks where they had to widen the trail enough for a Jeep to fit through, and at the bottom of the trail marker is one of the spades that broke when they created the trail. 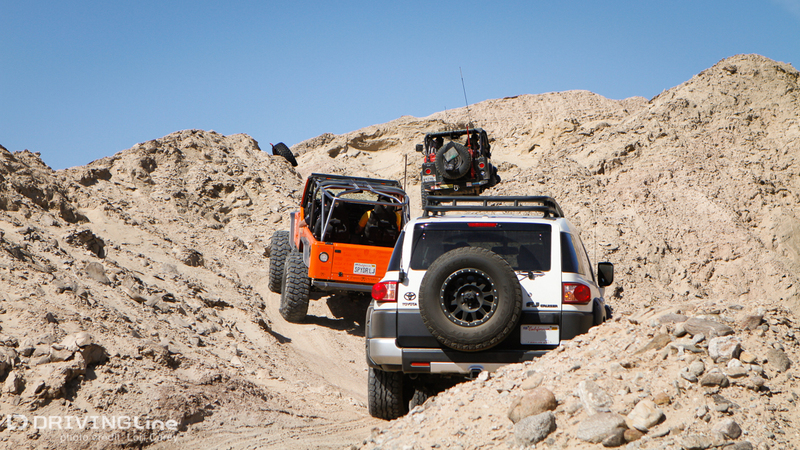 Did I mention how narrow these trails are? Tire placement is critical in some locations, and if one side of your rig gets too high up on the wall this is what can happen. 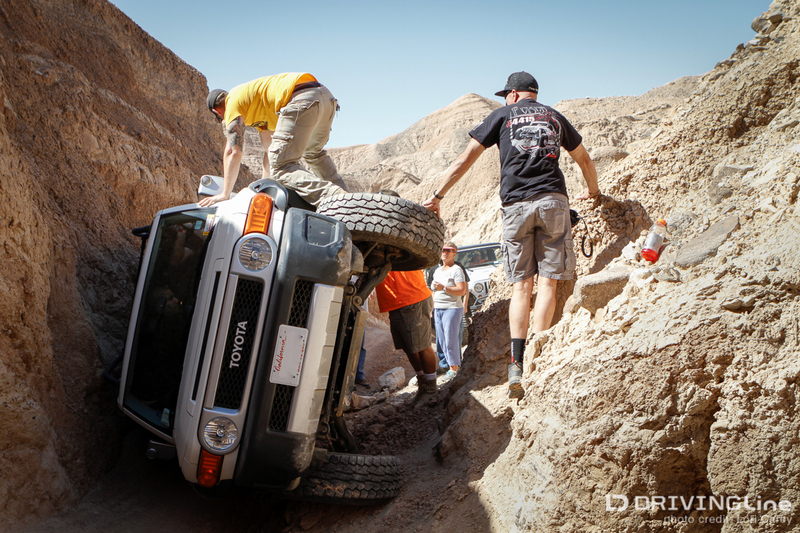 It’s always scary to hear on the radio “We’ve got a rollover!” and your first thoughts are hoping that everyone is okay. I was further up the line and didn't see it happen, so we first thought it probably happened on the super-steep and soft hill we had just come down. Thankfully it turned out to be a flop at the entrance to Broken Spade, not a rollover, and everyone was fine because they were wearing their seat belts. 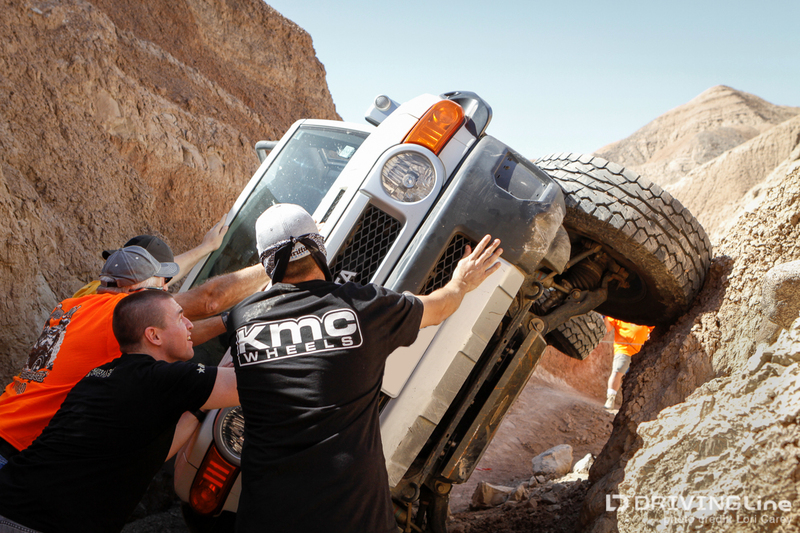 The rig had minimal damage and thanks to the expert recovery skills of the Hemet Jeep Club and Larry McRae, it was easily put back on four tires without incurring any more damage. I thought they would have to drag it out of the slot before they could turn it over, but these guys made it look easy and I’m sure the driver breathed a huge sigh of relief once his heart rate returned to normal. We finished the run with no other incidents and head back to camp to check out the vendors and the rigs on display and see what’s new. 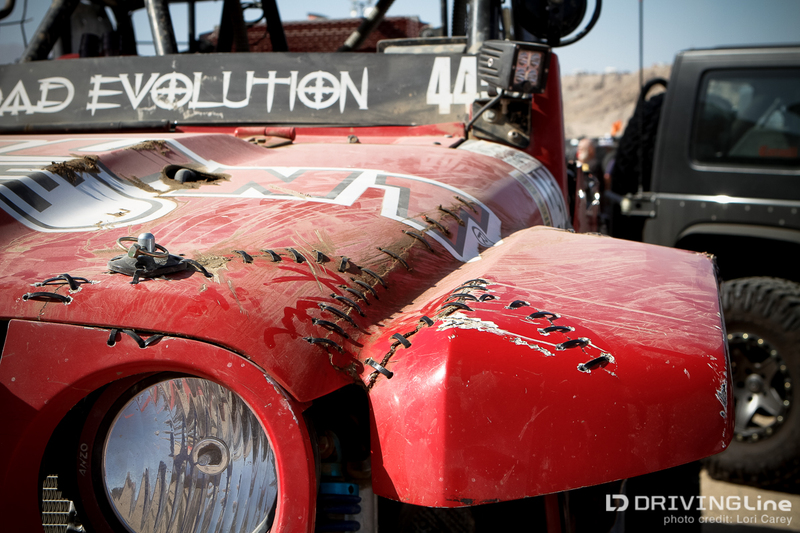 After being front and center watching Mel Wade’s awesome barrel roll and recovery at King of the Hammers last month, I loved seeing the badass aftermath stitches on EVO1. 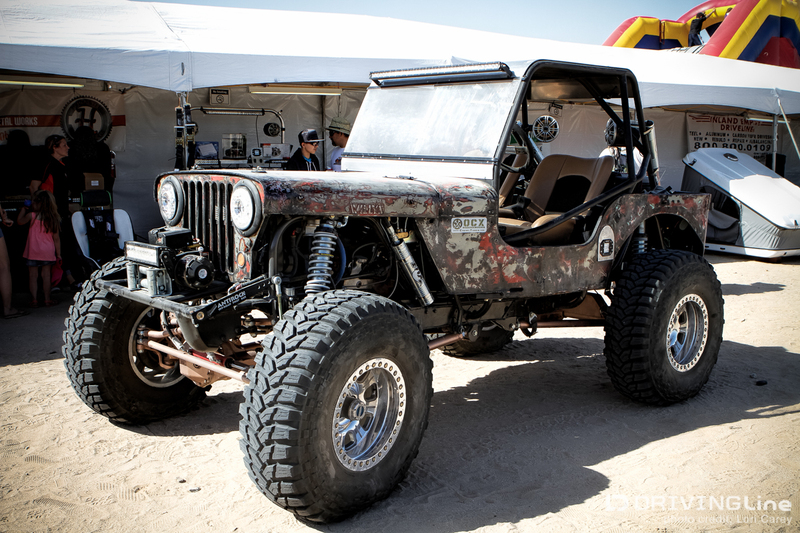 The JK6 Wheeler from Tyrant Motorworks really caught my eye. 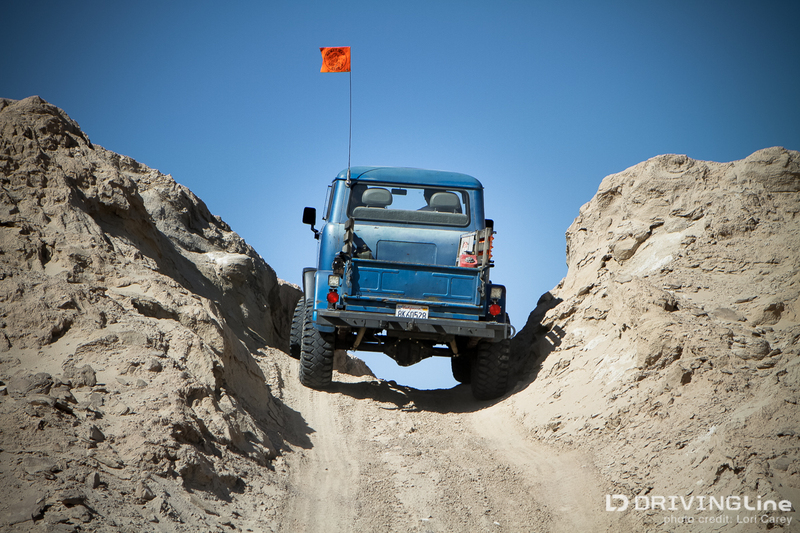 Later that day I head over to the 4x4 Training Facility to watch people run the obstacles. It was brutally hot and it was a mob scene with vehicles and people everywhere, not a place for the meek or timid. The water truck was making the rounds all day to try to keep the dust down but it was a losing battle. The training facility is closed down late Saturday afternoon so the fireworks display can be safely set up. Saturday evening was the big raffle with over $100,000 in prizes. Each registered attendee gets one ticket for the raffle, so the odds of winning are very good. 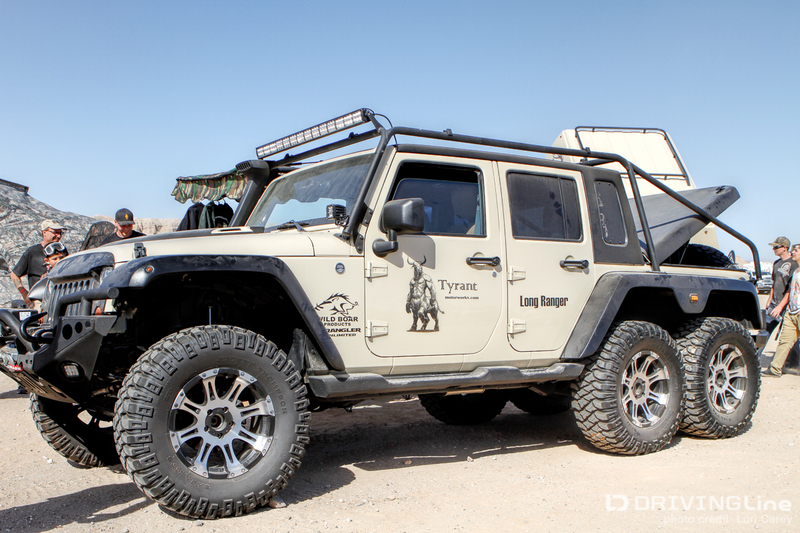 Tierra del Sol also raises money for a sponsored charity every year and this year they sponsored 4 Wheel To Heal, a non-profit organization that takes wounded and disabled Veterans out wheeling and camping. The audience donated over $3,600 to 4 Wheel To Heal, and Tierra del Sol Four Wheel Drive Club of San Diego matched the donation. 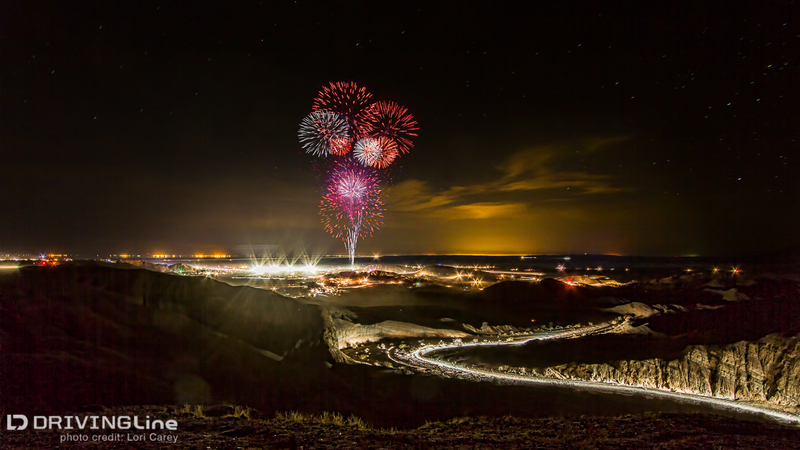 Saturday evening wraps up with a fantastic fireworks show and the weather was perfect for enjoying it this year.